Hope that everyone is doing well with their endeavors. Tomorrow my coworkers are taking me out to lunch, and asked where I would like to go. I told them just to the local diner, because I know they have good salads there. Try fruit. Or a raw carrot. It has the advantage that you have to chew it a lot, and it takes a longer time to eat it. On the other hand, I find that if I include some protein and fat at meals I can go for quite a while before getting hungry again in between. For example, if I've got a strenuous day or a late lunch ahead, I make sure to have eggs for breakfast instead of cereal or oatmeal. Maybe something we could all use? Diet water! It has half the calories of regular water! Not to mention the rich flavour! A: Would you like some water? B: Oh, it looks really delicious. But no thanks. These jeans are getting awfully tight. A: No, this is DIET water! I've been drinking it for a month, and look -- I'm wearing my skinny jeans! B: DIET water? But isn't it kind of bland and flavorless? B: Oh, in that case, fill up my glass! 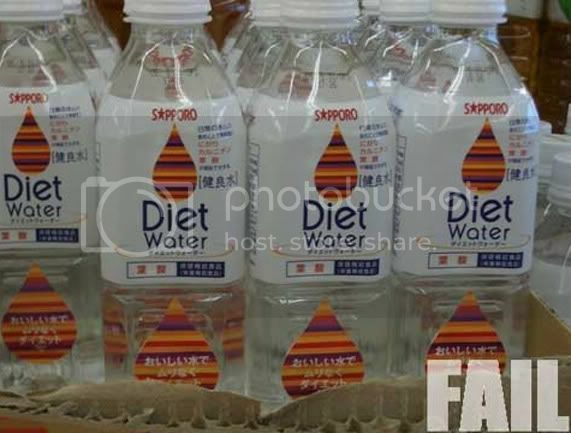 I'm going to slim down - with Diet Water! So that's my problem - I've been drinking that damn regular water! Or maybe it's "half the hydrogen of regular water." 1.Cream butter and sugar with an electric beater, till it becomes light and fluffy. Add spinach or beetroot puree to the above mixture and beat well. 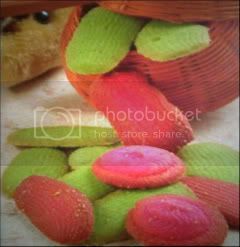 2.Sift wheat flour and plain flour. Add slowly to the mixture. Mix well with a spoon to get a soft dough consistency. 3.Line a cookie sheet or a baking tray with aluminum foil. Grease foil. Fill the cookie mixture in the piping bag. Pipe the desired shape. If you like simply put flattened balls. 4.Bake in a preheated oven at 180 degree Celsius for 10 minutes. Let it cool for 15 minutes in the oven. Leave on the tray till it comes to room temperature.